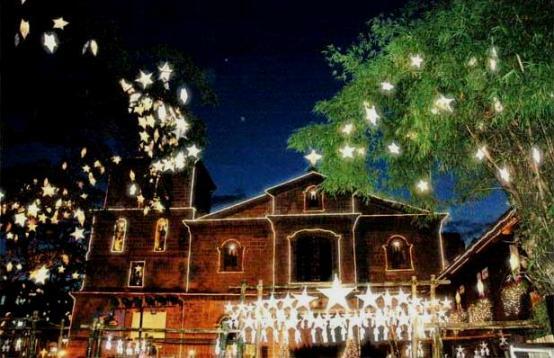 Perhaps this Filipino Christmas is the most imitated or sung by YouTube enthusiasts, and understandably so since this is one of the most popular if not widely loved original Filipino Christmas songs. “Pasko na Sinta Ko” (It’s Christmas My Beloved) was composed by Francis Dandan with lyrics by Aureao Estanislao. An intensely felt version was originally performed by Gary Valenciano in 1976 conveying the song’s heartfelt wish of seeing again his/her absent beloved. More than a Christmas melody, Pasko na Sinta Ko is a love song and evokes the nostalgia and yearning of those who are spending the Christmas holidays without their loved ones. The song is specially evocative for Filipino overseas workers and expatriates as it captures celebrating Christmas in less than cheerful circumstances. Even non-Filipinos find resonance in this song which has been performed or played in the US and Europe in Filipino expat communities. Regularly appearing or ranked in the popular Filipino music hit list and charts, Pasko na Sinta Ko has also been sung by the Philippine Madrigal Singers, perhaps by far the best rendition of the song which has been interpreted by countless other Filipino singers. Long live Philippine original music!